The NeotrixQI Wireless Battery Charger Case lets you skip the wait for AirPower or next-generation AirPods, and it’s being offered for just $17.99. 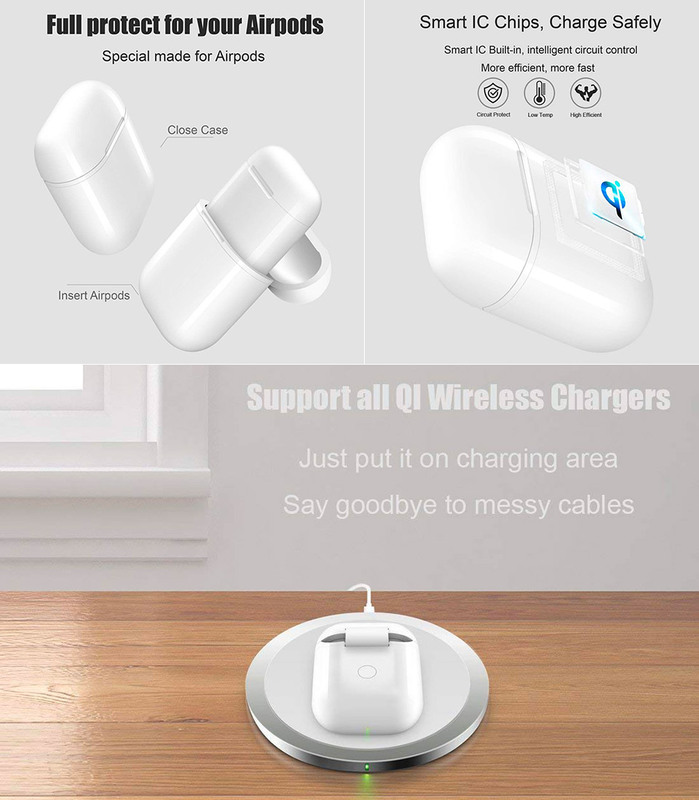 Simply put, it slides over your current AirPods case and instantly adds wireless charging in less than a second, making it a must-have for current owners, as you won’t ever have to deal with pesky Lightning cables ever again. Product page. Read more for a video of it in-action and additional information. “It works with a few minor changes. I took the top of the charging case off, I just didn’t like it on. I also had to open the hole that lets you hit the pairing button on the airpod case; it was keeping my phone from instantly finding the Apple case. Overall, I really like it,” said reviewer magnolia127 on Amazon. More information.